RV Travel readers would not like this tight campsite. RV park owners, take note: We asked our readers to name the top three amenities they prefer when choosing an RV park. Right about one-third answered “extra room between campsites,” followed by “park grounds appearance/cleanliness.” Ten years ago we suspect many would have listed cable TV. But no more: Only 5 percent of you consider that very important. “Fast, reliable WiFi” came in third with 20 percent, followed by “super clean bathrooms” at 11 percent. Alas, RV Travel readers are not big on swimming: Only 2 percent of you considered a heated pool important. This was no surprise at all. We asked you what beverage you drink to start your day. It’s coffee by a long shot. Of the nearly 3,000 votes, 76 percent of you jump-start your day with a cup o’ java. Tea was a distant second with only 8 percent. Other votes were for juice (6 percent), soft drink (4 percent) and milk at 3 percent. In Monday’s RV Daily Tips Newsletter we asked if you had had a “serious ant problem in your RV?” Well, the results were encouraging (I think), as only 22 percent of the 1,500 readers who responded reported they experienced an ant invasion. Still, for a fifth of you who have been visited by the pesty little feet biters, that’s not good. By the way, did you know that ants evolved from wasp-like ancestors in the Cretaceous period, about 140 million years ago? And how about this? An ant can lift 20 times its own body weight. If a second grader was as strong as an ant, he or she could pick up a car! And then there are rodents — mice, rats and squirrels, mostly. How many of you have dealt with them in your RV? Well, more readers have been bothered with rodents than ants — nearly 4 out of 10 of you! That is not good, because these little furry creatures love dining on RV wiring. And if one has ever taken a liking to your wiring you know that’s bad news! The best way to keep the critters out: Plug up all passageways into your RV, even those as small as a dime! Changing the subject, in our Wednesday RV Daily Tips we asked readers what type of RV they first owned. Of the nearly 1,600 responses, 29 percent said a pop-up folding trailer. Does that surprise you? It did us. 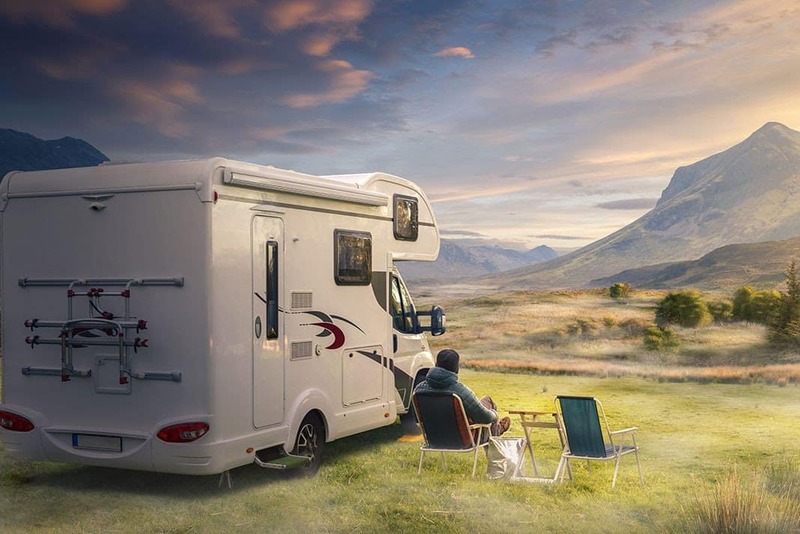 Second most popular “first RVs” were travel trailers (23 percent), just edging out Class A and Class B motorhomes at 22 percent. Only 7 percent started RVing with a fifth wheel trailer. We wrote last week about a big problem in North America — invasive stink bugs that are quickly spreading across the land, damaging crops wherever they go. RVers are unknowingly transporting these stinky creatures. We wanted to know how many of you have seen them. We were shocked to learn that almost 70 percent of you have found them in your home or RV. Read our article to learn more about these insects and the threat they pose. On Thursday, we asked RV Daily Tips Readers how many times they had filed an accident insurance claim on their RV for more than $2,000. Stop reading right now, close your eyes and guess how many never filed such a claim. . . . . . . . . . okay, open your eyes: It turns out that 73 percent of you never filed such a claim. Twenty percent of you filed a claim more than $2,000 once, with 6 percent of you doing so two or three times. Sounds like the insurance companies are coming out pretty good. Finally, in her pet column, Dr. Deanna asked how many dog owners had their pet on a heartworm prevention program, A little over half said yes and about a fifth said “most of the time.” The rest said no. If you own a dog, you should read her column. If your dog is not on a heartworm program, you may change your mind after reading the Pet Doc’s article (and your pooch will thank you!). Previous articleHave you lived in your RV during an emergency? If Chuck sees a lot of two-headed cows — does anybody wonder what those poor animals are being fed and injected with … and therefore is being transmitted to us through the beef? We’re seeing more and more weird stuff in nature and nobody is worried about it because it’s down low on the food chain … what ’till it hits US … hard. Twelve percent listed truck campers as their first RV. How many folks started RV’ing with a P/U camper. We did in 1962 with a snowy mountain 8′ camper on a 1967 1/2 ton short bed chev P/U. Had much fun with 3 small children and a 105# husky.